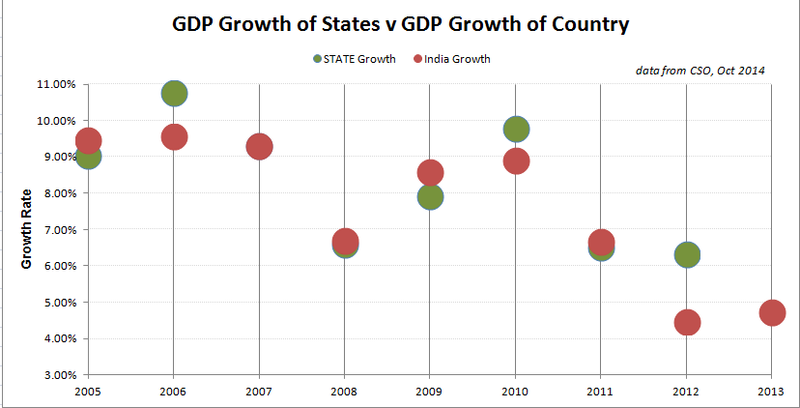 Sum of state GDP value NEVER totals the India number. India level numbers are always higher. There is some benevolent God amongst the 300 million worshipped in the country that makes good whatever is the shortfall is to our collective aspirations. The difference was showing a declining trend until the last year came about and created a record high!